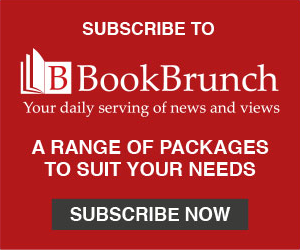 As she steps down from BookBrunch, Liz Thomson reflects on three decades covering the book trade beat and explains the background to her new project. I've just reported my final London Book Fair, or at least my final Fair as a fully paid-up trade journalist. I'm not actually leaving the book trade and I'm certainly not retiring, so it's something of an au revoir. I need time to properly pursue a music project which has lately consumed my imagination - but I am leaving BookBrunch, the daily newsletter and email I co-founded with Nicholas Clee back in 2008, on one of the many "black Mondays" as the world slipped in to recession. At LBF2015, I became a story myself, as I assume quite a few of those reading this know, and it was nice to hear that there are people out there who are going to miss me. Sometimes, at least. As I clicked and tapped for the Show Dailies we publish with PW, I couldn't help feeling nostalgic, my mind returning to LBFs (and Frankfurts and BEAs) past, remembering how different it all was when I came into the trade. I've covered 30 LBFs in 31 years (I was ill in 1987, its first time in Olympia), and my first was in March 1984 in the so-called Barbican Exhibition Halls, to which it had only recently relocated following a tour, as SPEX (founded by Lionel Leventhal and John Brushfield), of sundry London hotels. I was only a few weeks into my job on PN when Fred Newman, owner-editor, despatched me to write a preview, based on an interview with director Beatriz Casoy (her first year in the post) and Penny Phipps of Phipps PR. I'm happy to say I'm still friends with them both. In 1984, the world still worked on typewriters, and mobile phones were rare. One of the problems was that the Barbican had just three fixed phones on each level. Casoy's ambition was to make it "the English-language fair" - but no one could figure out what the fair was for, plus there was a recession on. Plus ça change… In the end, the big names stayed away, as they would for some years. There were 2,500 pre-registrations, and, on day one, 1,700 paid at the door. Some 500 members of the public, "invited as an experiment", also came. The show dailies had not yet come into being - they were invented by Fred in 1990 - and in that pre-wired world, one simply wandered the aisles for three days, talking to all and sundry, picking up whatever news was fit to print (and some that wasn't). Most of it was run-of-the-mill, the sort of unglamorous stuff that keeps publishers in business yet that goes unreported - but the nice thing was that whatever news one picked up could be reported. No waiting for over-long press releases with multiple quotes from agent, author and publisher containing pretend news of deals done weeks previously. No need to clear comments with corporate comms. Simply news, maybe not big, but genuine - able to be reported by whoever picked it up. So much more interesting than the way it's all done today, when everything is so utterly stage-managed. Though there are still moments of excitement, the trade has become dull. There was no precise moment when it happened. Simply there was a creeping dullness called conglomeration, and publishing - once defiantly not like any other trade - became just another trade, all about results and spin and short-term gain. About willy-wagging CEOs (never mind that for a time many were women) with corporate limos and statement clothes who stand up to make speeches someone else has written. Save for a handful now running their own companies, the trade's great characters left long ago (many were made to leave) and, as they sadly depart their professional and mortal lives, they take with them stories of better and more exciting times. The passing over the last couple of years of Peter Carson, Paul Sidey and Simon Master, whose marvellous memorial was held last week, reminds us of what we've lost. To be sure, there remain great publishers and great lists, but fewer and fewer; editors want a quick fix, not the bother of book-making, matching idea to author, something indie publishers must do to survive - and it's what makes them so much more interesting. To take but one example: in the major trade houses, history is written by journalists who may once have studied history, or by TV historians - but rarely by the real McCoy. Kenneth Clark, as author and TV presenter, would probably now be thought ineffably dull. Jacob Bronowski too. Both they and their books would be "sexed up". And no one takes risks: no publisher today would fight the government over the right to publish Spycatcher, Peter Wright's memoir of his life as a spook. Meanwhile, codes of so-called conduct and corporate responsibility would probably strangle at birth polemics by the likes of Régis Debray, Frantz Fanon, Abbie Hoffman and perhaps even E P Thompson, whose Protest and Survive was a handbook for 1980s anti-nukes, not to mention Tony Godwin's Britain in the Sixties series of Penguin Specials. Yet we very much need an equivalent today. As the great Peter Mayer said in a powerful speech as he received the LBF Lifetime Achievement Award in 2008: "Trouble is at the heart of what we do, in the sense that worthwhile books trouble our complacency - sharpening our minds and senses. Some are even dangerous, and they too must be published." Though a few figures resist downgrading, biography is ever more "lite", and if old-fashioned media celebrities are less ubiquitous than they were a few years ago, it's only because they've been eclipsed by the so-called stars of YouTube and Facebook (that most overblown and self-important of early 21st-century phenomena), whose oh-so-vacuous stories and lifestyle offerings publishers are keen to sign. I always thought Blink an odd name for an imprint but watching Caprice Bourret pose for pictures in front of a very small handful of photographers at LBF it occurred to me that it made perfect sense: Blink and you'll miss it. Writing about such stuff, the receipt from trade PR departments of so much adjectival excess, long ago drove me to distraction. There are still book trade people and issues that I'd like to have the opportunity to write about at thoughtful length. I'm emphatically not retiring (I'm too young and anyway can't afford it) but I've had enough of the relentless day-to-day. I need to stretch myself, and trying to make my great New York music festival a reality is one way to do that. If I don't have a go now, I'll always regret what might have been. I can't explain my obsession with the 1960s folk revival - but I suspect in part it's about what went along with the music, which was inextricably linked to the issues of the day and which was itself made by individuals who had convictions. Joan Baez, whose peerless voice rang out at the March on Washington and who went to jail for her beliefs, declined an offer to advertise CocaCola, a deal worth $50,000 in 1960. Bob Dylan would turn out to be less fastidious: in recent years he's promoted cars and even the Bank of Montreal ("the prime, it is a-changin'") but he gave us a phenomenal body of songs. Harry Belafonte sang wistful chart hits about islands in the sun - but he also flew down to Mississippi carrying $50,000 in cash to help students leading voter registration drives in that terrible summer of 1963, when Alabama commissioner Bull Connor set the dogs to attack those whose skin was not white and when four little girls were murdered on that notorious Birmingham Sunday. Pete Seeger sang about the evils of the arms trade and launched a project to clean up the Hudson River long before pollution became a cause for global concern. I was much too young to be a part of it, and I was 3,000 miles away, but the musical revolution that began in Greenwich Village and reverberated around the world needs celebrating. There was a spirit that must be rekindled, a feeling of optimism and can-do; a sense that things could be changed for the better (which they were, until the post-War consensus broke down in the Thatcher - Reagan years); a sense of universality that meant the world would never have watched quiescently as the 21st century's own "huddled masses yearning to breathe free" sailed to their deaths in the Mediterranean. I'm working with Anthony Keates, former Marketing Director of the Orion Group, whose professional skills and logistical nous, not to mention his profound love of music, make him a terrific partner. If he and I can raise the money (donations and sponsorship), Bringing It All Back Home - the Folk City Music Festival will take place next spring, preceded by an autumn fundraiser. On my most recent visit to New York, I apologised for seeming to be a pushy Brit - but everyone agreed: the New York folk revival needs to be celebrated on its home turf and not just once, but annually. I have built a coalition of the willing and, with the support of the Mayor's office, I believe it's possible. As Dylan famously wrote, "I'll let you be in my dream if I can be in yours."